Copthorne is an idyllic place to live. Copthorne is a small Sussex village popular with families. It has all the atmosphere of a village yet only a stone's throw away from the road and rail links to London, Brighton and Gatwick Airport. In fact its said that people who live here love it so much they dont move, but relocate within the local area as their needs change. 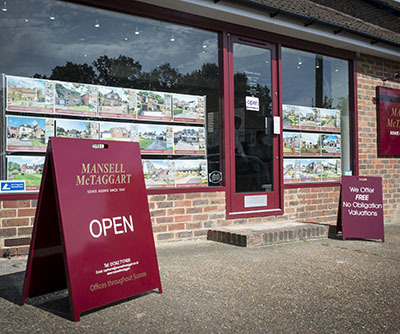 Should you be considering your next move in the area, here at Mansell McTaggart estate agents in Copthorne, we are ready to manage the entire process for you. We take time to really listen and understand your needs, whether you’re looking to market or purchase a property in the local area. You can look forward to a high quality, friendly and personal service with beautifully prepared property details and photos to get the very best result from your sale. We are your dependable and approachable estate agency in Copthorne, one of the most desirable and sociable family villages in Sussex. Our team of knowledgeable property experts are here to help you showcase your current property in Copthorne and the surrounding areas of RH6 and RH10, or to help you find your perfect new home. We take great pride in our customer service; nothing is too much trouble for us and we will build a one-to-one relationship with you to ensure the process is as effortless as possible. Search for houses for sale in Copthorne, flats for sale in Copthorne, land for sale in Copthorne or search all property for sale in Copthorne. We have partnered with The Finance Planning Group to ensure you can receive the very best advice about mortgages and insurance. Unlike some of our competitors, our mortgage service is completely independent and completely optional. Mansell McTaggart is one of the largest estate agents in Copthorne with a huge choice of properties in the local area. Buy or sell your house though Copthorne's premier estate agent. Meeting people, matching their needs and making it happen!